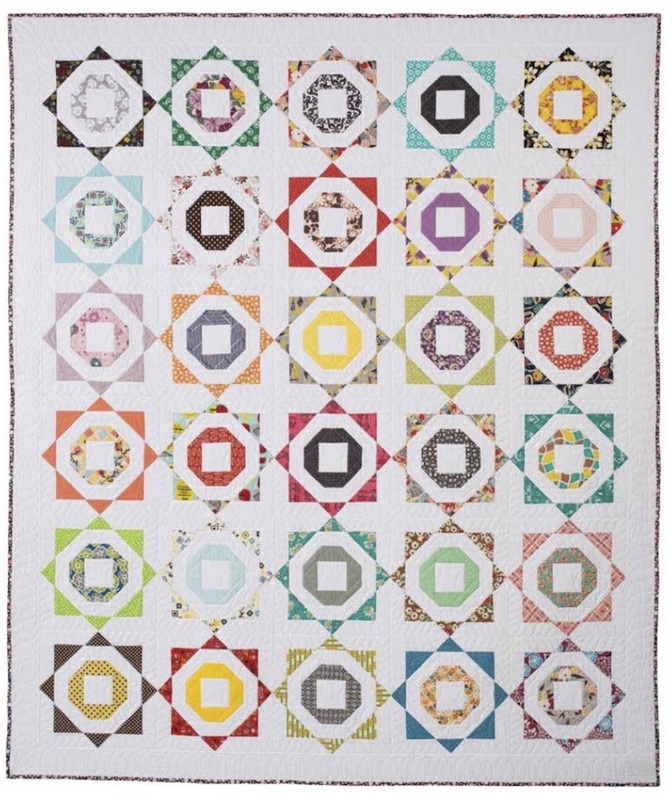 I posted a correction yesterday to the Happily Ever After quilt pattern in my book. 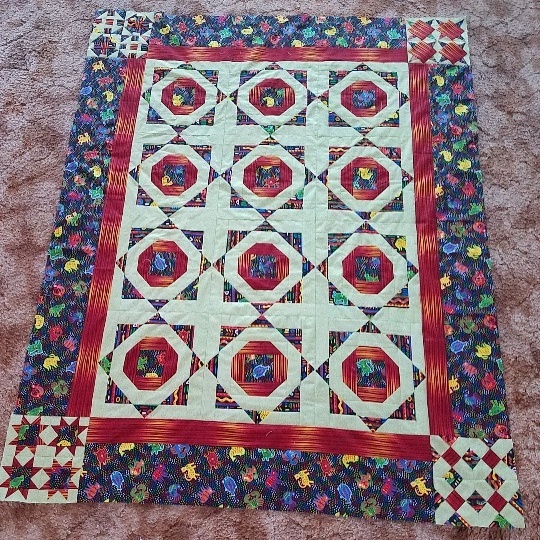 Today I want to show you some other versions of the quilt. 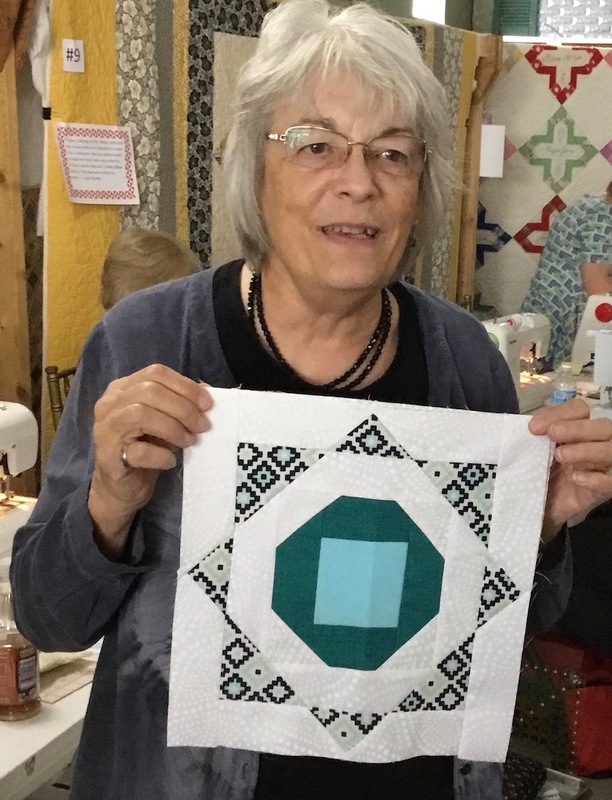 I made this version with scraps reminiscent of the early 1950s in a solid plain white background, leaving out the applique. But I wanted to make another version even more scrappy. 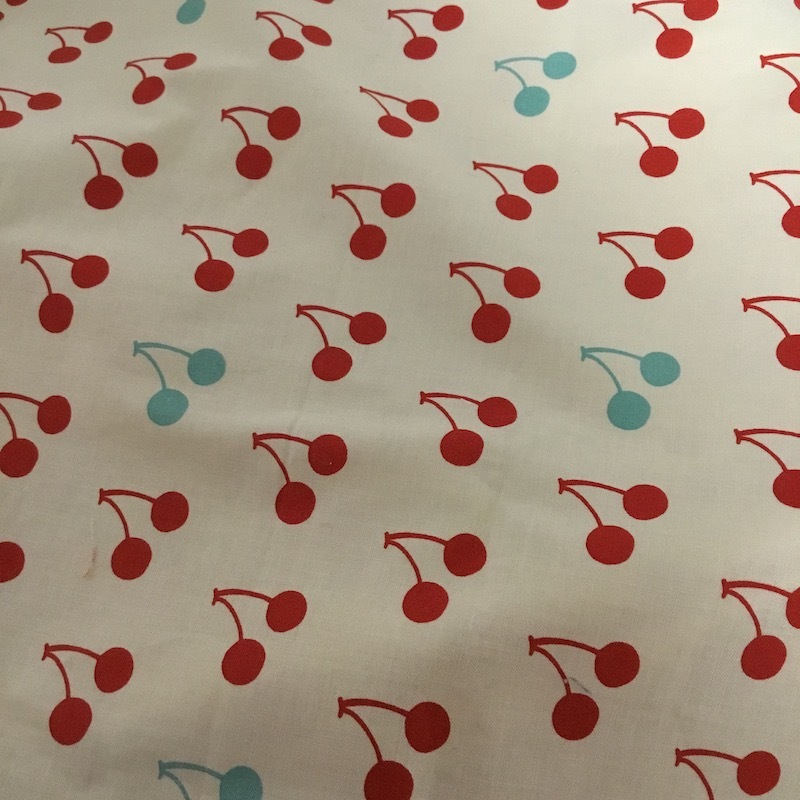 Here’s what I put on the back — I thought it fit with this quilt so well! And, I got it on clearance, which only makes it an even better choice. 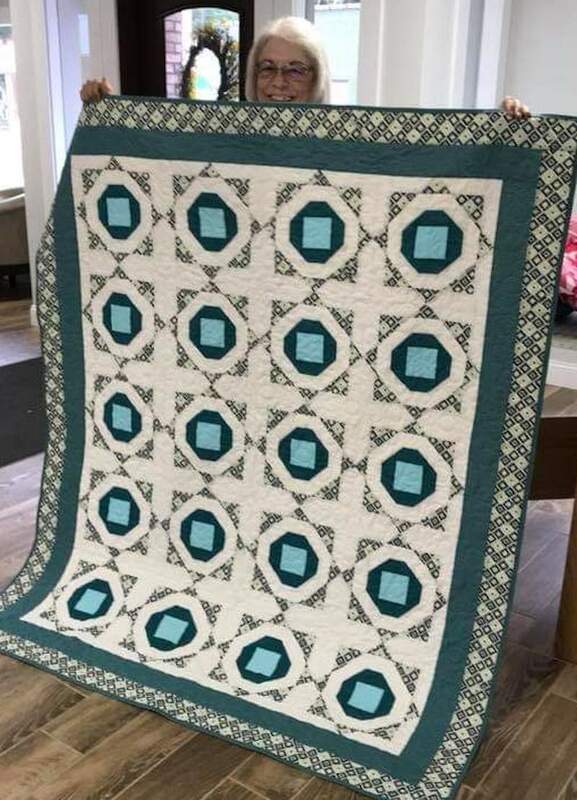 My friend, Linda, has made two other versions of the Happily Ever After quilt! 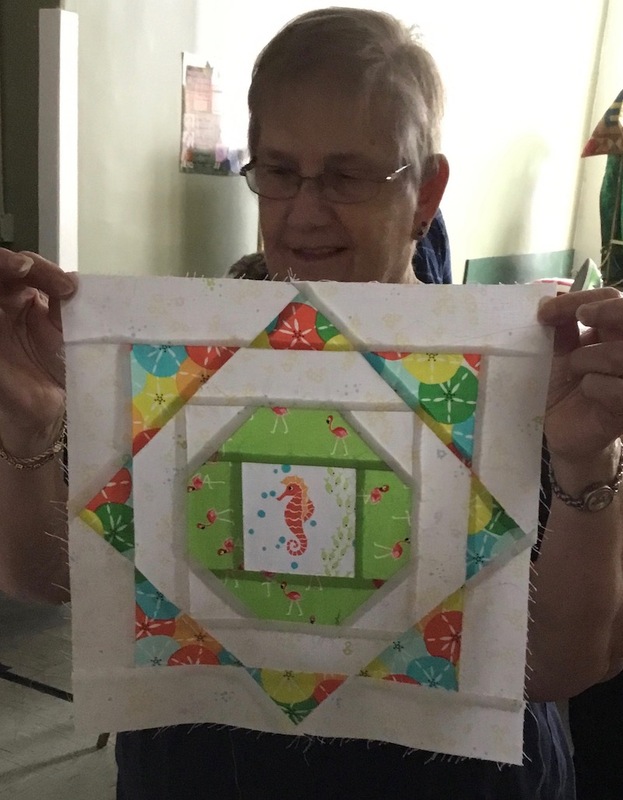 For this first one, she made 12 blocks all alike, and put on a wide border. 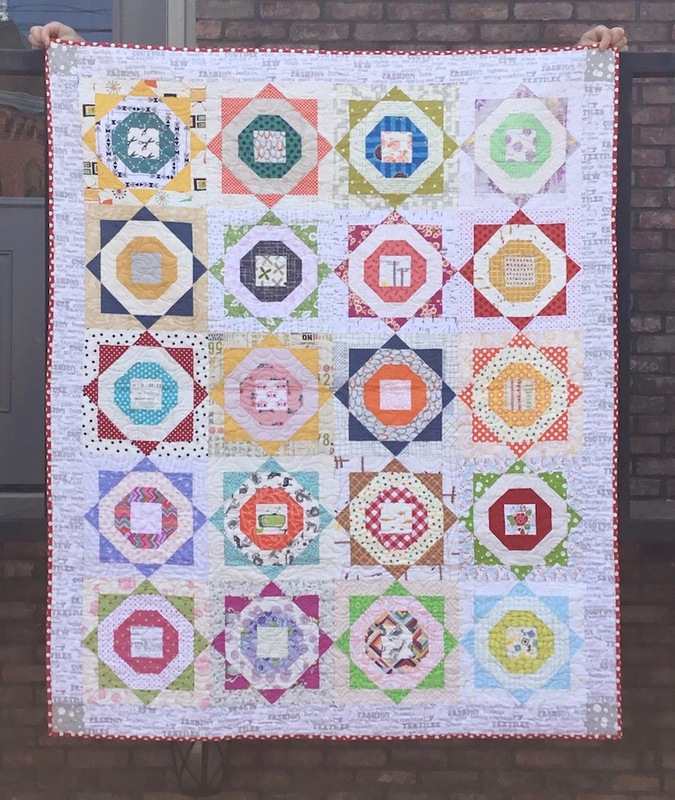 In the corners of the wide border, she used blocks from Victoria Findlay Wolfe’s Snack Set Templates to make little blocks. 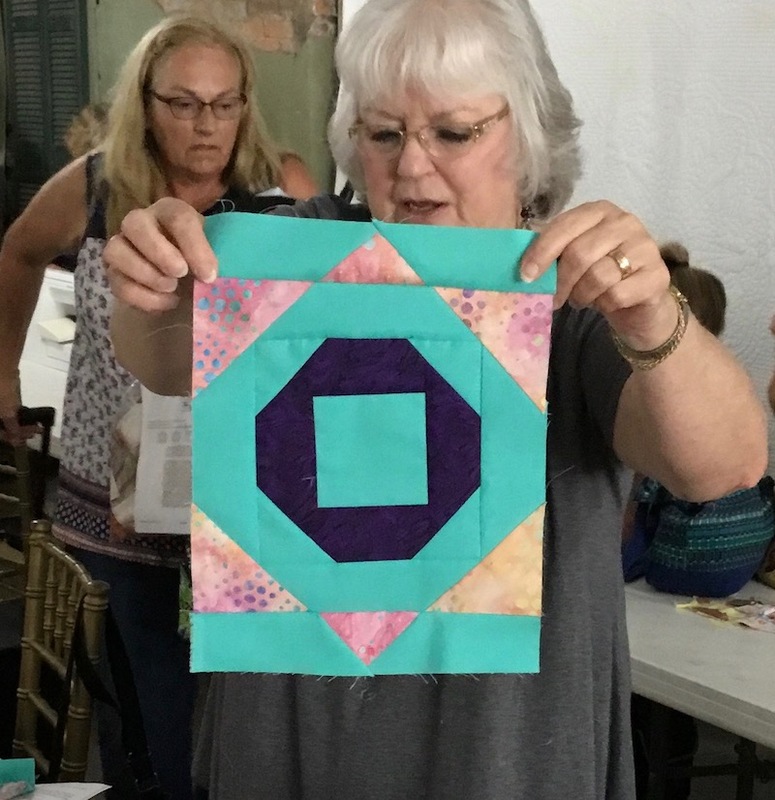 In her second version, she again used a set color palette and all 20 of her blocks are the same — I love, love, love this one! It has such a calm and soothing feel about it. 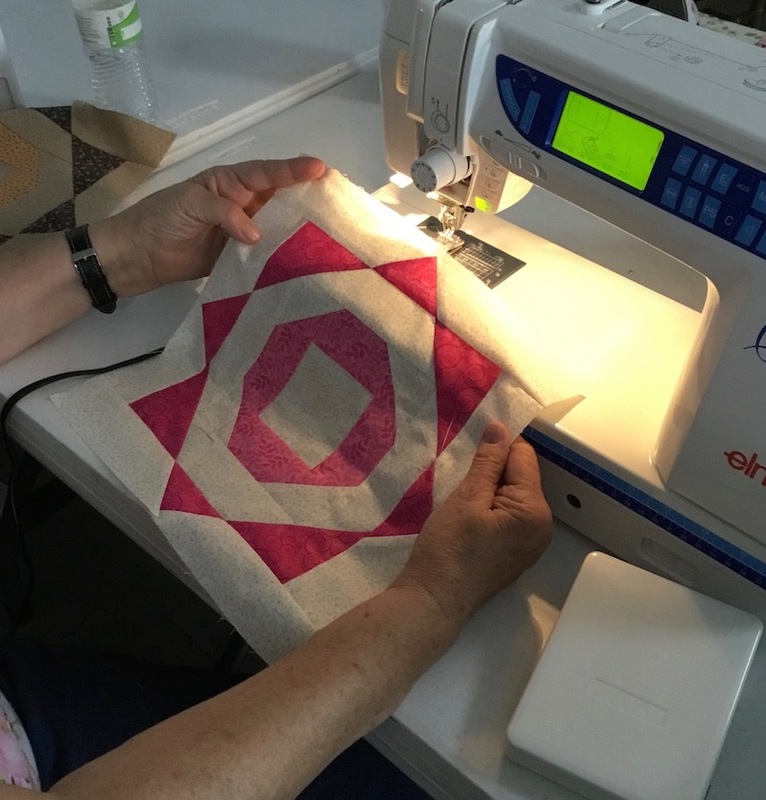 When I taught this class in conjunction with our local repertory theater’s production of “Quilters: The Musical”, my students all worked on blocks in the workshop that day, so here are a few pictures of the blocks they made. 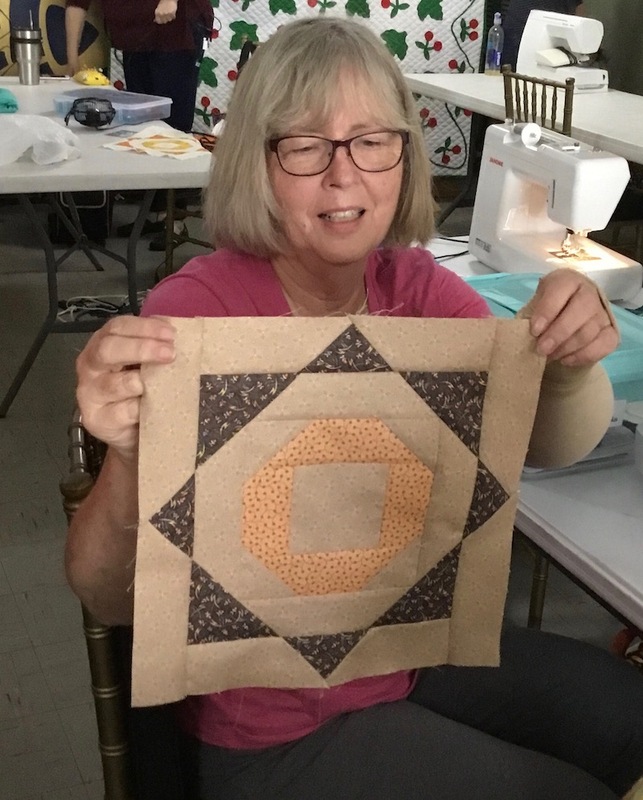 Pam and her sister made theirs together, then finished them into a Quilt of Valor after the workshop! I don’t know whose this is, since I cut them off in the photo, but I like it! And here’s Edie (who just so happens to be one of the editors of my book! 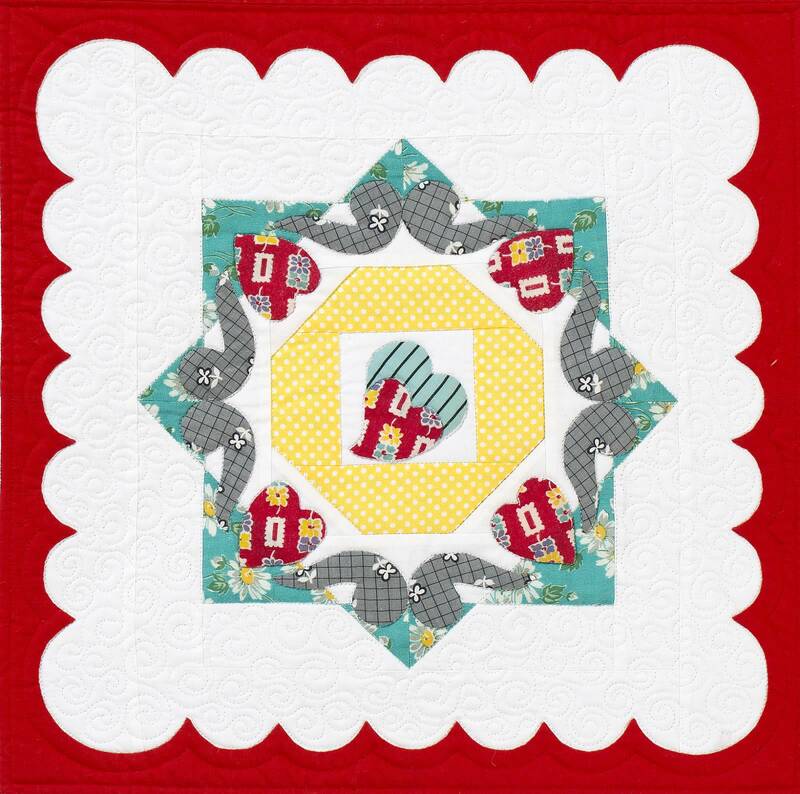 ), with her block — I love the fussy cut seahorse in the center! 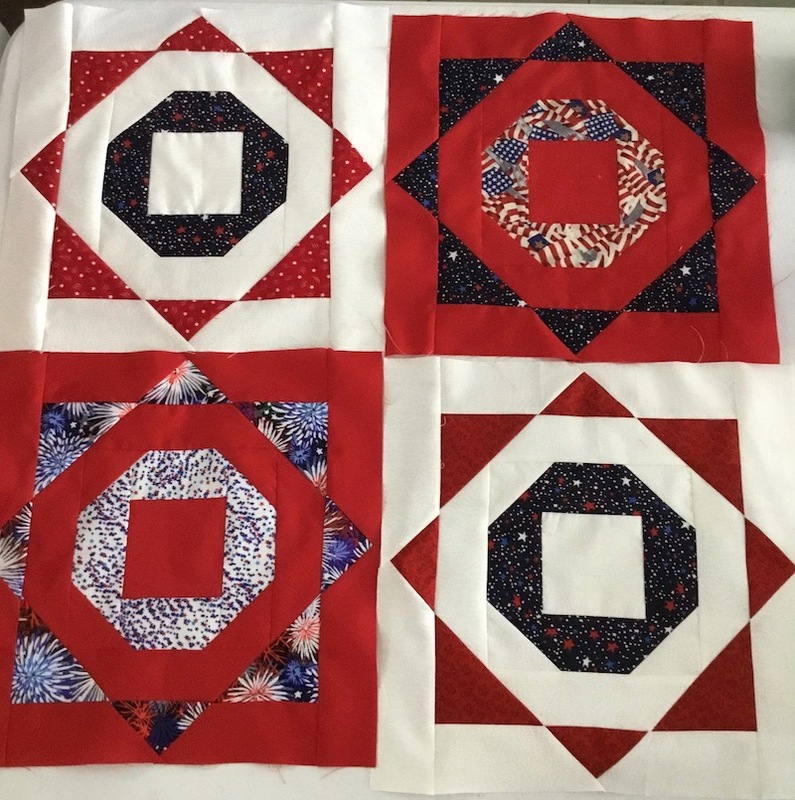 So I hope these give you some ideas and inspiration for other ways to use the Domestic Bliss block to make your own version of a Happily Ever After quilt. 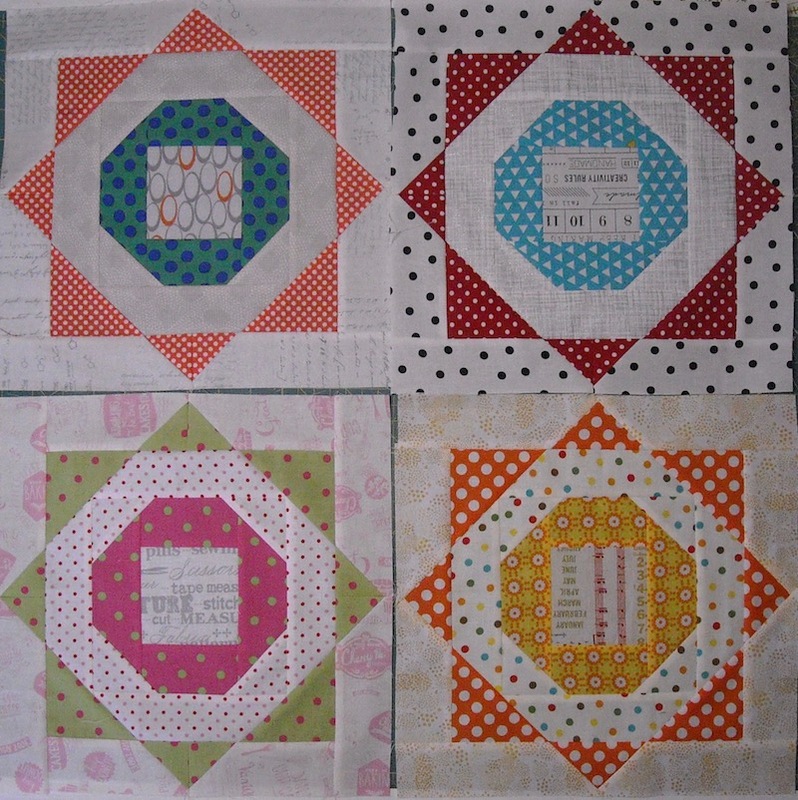 You can purchase the individual Domestic Bliss block pattern (pictured above) by itself from my Etsy Shop here. It’s called “Hazel’s Diary, Block #8 PDF File”. 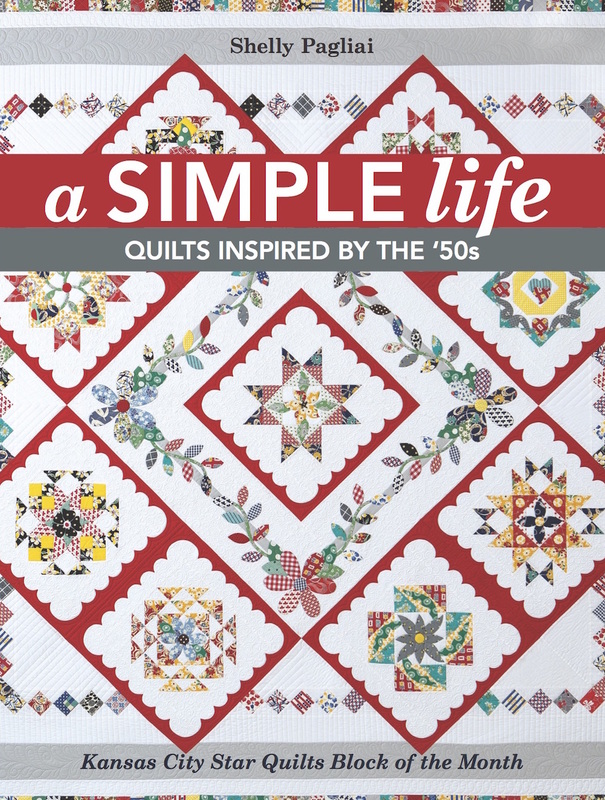 If you already have the book, be sure to make note of the correction for this particular quilt pattern in yesterday’s post here. One of my favorite blocks – looks so Arabic.